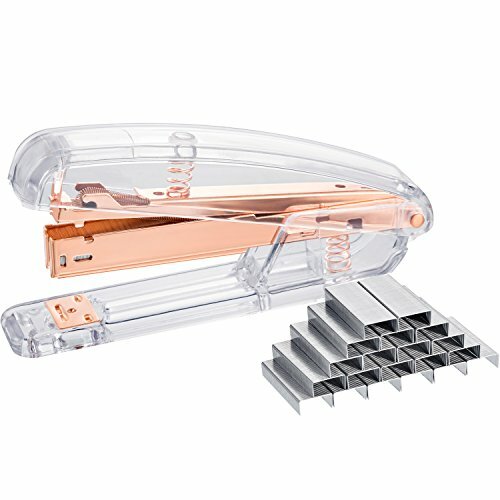 Fashion and durable, made of clear acrylic with non-skid feet and spring, the stapler uses smoothly. A good accessory to dress up your desk, transparent and rose golden metal will give you an ultra-cool look. As a thoughtful present for students, teachers, employers, doctors, lawyers, etc. Warm note: using standard size staples to staple about 15 pages easily. Pleasant present: as a useful present for office clerks, school students, teachers, etc. If you have any questions about this product by Maxdot, contact us by completing and submitting the form below. If you are looking for a specif part number, please include it with your message.